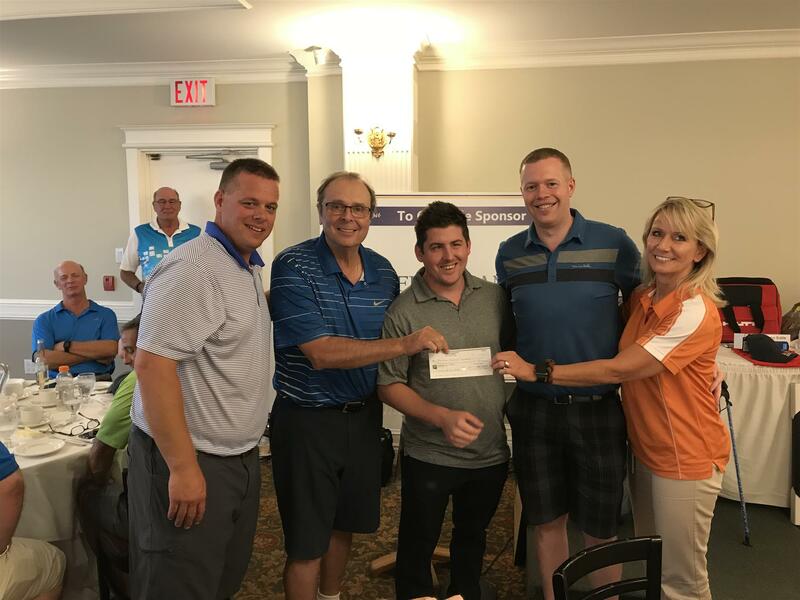 The 23rd Annual Rotary Golf Tournament held on August 23 at Royal Ashburn Golf Club was again a great success with the support from 128 golfers, sponsors and many volunteers. The Rotary Club of Whitby has pledged $100,000 over 5 years to the Grandview Children's Centre building fund. We were able to donate our second $20,000 cheque from the proceeds of this year's tournament. The Rotary Club of Whitby would like to thank the Royal Ashburn Golf Club, golfers, sponsors and volunteers for their generosity and hope to see you again next year. Visit our Facebook page. The Royal Ashburn Golf Club is one of Durham region's most beautiful courses, especially as summer turns to fall. The course is ranked as one of the top 50 public courses in Canada and offers beautifully manicured fairways and greens. The Rotary Club of Whitby will again host its 23rd annual golf tournament at the Royal Ashburn Golf Club on August 23rd. Golfers will enjoy what this premier golf course has to offer while also giving back to their community. Guests are given the royal treatment from bag drop to the reception and dinner. The tournament commences with a shot gun start at 12:30 pm with exciting contests in traditional categories. The day will wrap up with numerous prizes along with a prime rib dinner with all the trimmings. Since its inception 22 year ago, the golf tournament has raised over $400,000 for local organizations, including Easter Seals, Their Opportunity, Joanne's House, Ontario Shores' Mental Health Sciences youth outreach program, Station Gallery youth program, Racing against Drugs, Air Cadets, Sea Cadets, Scouts, Beavers and Cubs, orphans in third world countries and Rotary's International Youth Exchange program just to name a few. Proceeds from this year’s tournament will be used to support Rotary Club of Whitby's $100,000 pledge dedicated to the new Grandview Children's Centre to be built in Ajax. "The Rotary Golf Committee again pulled all the stops this year in selecting Royal Ashburn as our venue, including reception in the lower or upper state of the art dining rooms" said golf committee chair, Doug Freeman. "We look forward to the continued support of our many sponsors and loyal golfers who have come to expect the very best. Freeman's firm, Freeman & Lourenco LLP, Chartered Public Accountants, is the Title Sponsor along with Dodd & Souter Flooring who is the Registration Sponsor and Nurse Chevrolet Cadillac who is the Cart Sponsor. We again thank all involved for their support in making this a very successful event in the past and hope that we can count on your support again this year. The Rotary Club of Whitby is a volunteer not-for-profit service organization that has been working to raise funds in support of local and international project as well as providing service work in our community since 1933.